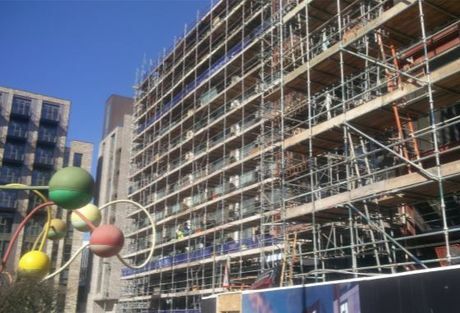 Since the last construction update, Wolstenholme Square has seen some delays which has reflected in the completions dates being refined. Monthly progress meetings are now being held on site and all consultants have been appointed. Also making huge progress is Block C which has; substructures, steel frames, external lining, brick work, internal partitioning, upper floor decking and the first fix of M&E all completed. The stair cases have also been installed and the second fix of M&E is underway up to floor 5. Substructures, steel frames and the steel decking is completed and concreted to floor 4 in Block D. The staircase has also been installed and the ground floor slab reinforcement is 50% complete. For more information on Wolstenholme Square contact us on enquiries@hopwoodhouse.com or call +44 (0) 161 337 3890 to speak to a member of our consultancy team.